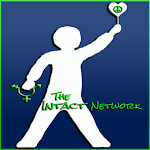 Thank you to Jennifer Coias for her helpful video! Note: Cosleeping can take the form of bedsharing (sleeping on the same safe surface) or nearby sleep sharing (within an arm's reach of baby on different surfaces). Both have physiological benefits for baby and mom, both foster a more effective breastfeeding relationship, improve milk supply, and both protect from SIDS risks during the first year of life by regulating respiration, cardiovascular function and hormone levels. 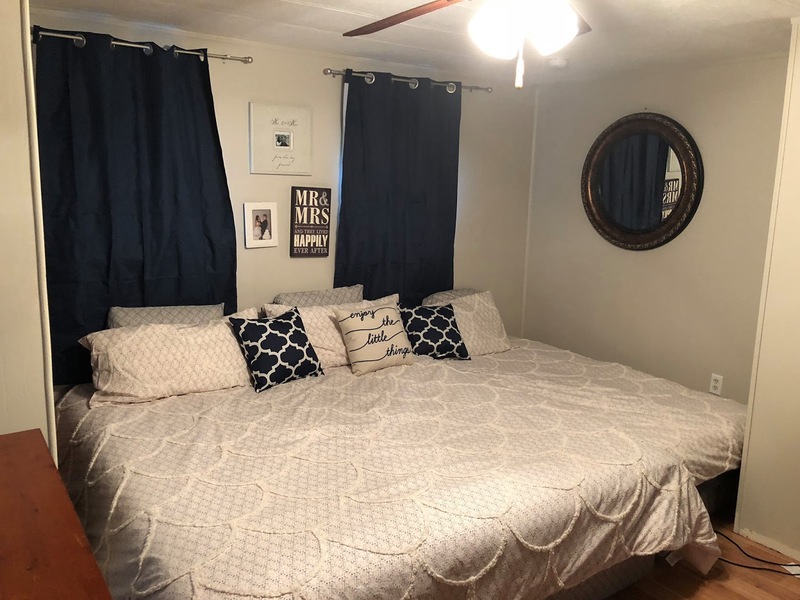 At our home we use beds (on the floor) that are pushed together for ample, comfortable, safe sleeping space (first photo below). Like many others, we've never used a crib. 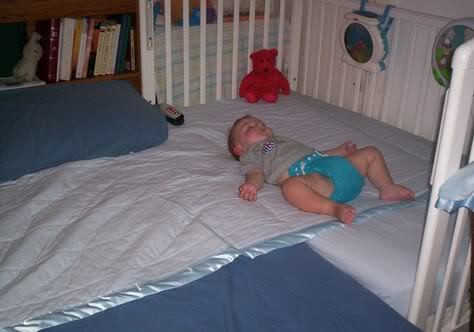 However, if you already have a crib that you'd like to make use of, turning it into a cosleeper is a very useful idea. In any baby sleep situation, being aware of the humidity level in the room, and knowing what the ideal humidity level is for healthy sleep is an important thing to consider. 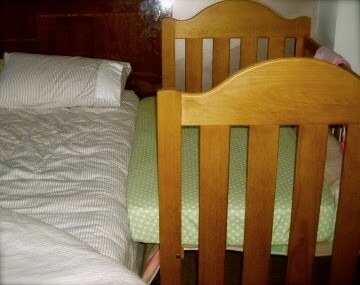 Photo examples of how parents have turned their crib into a side car cosleeper. 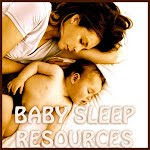 Further resources at the Safe CoSleeping community on Facebook. Lacey's set up - mattress sets together on floor. 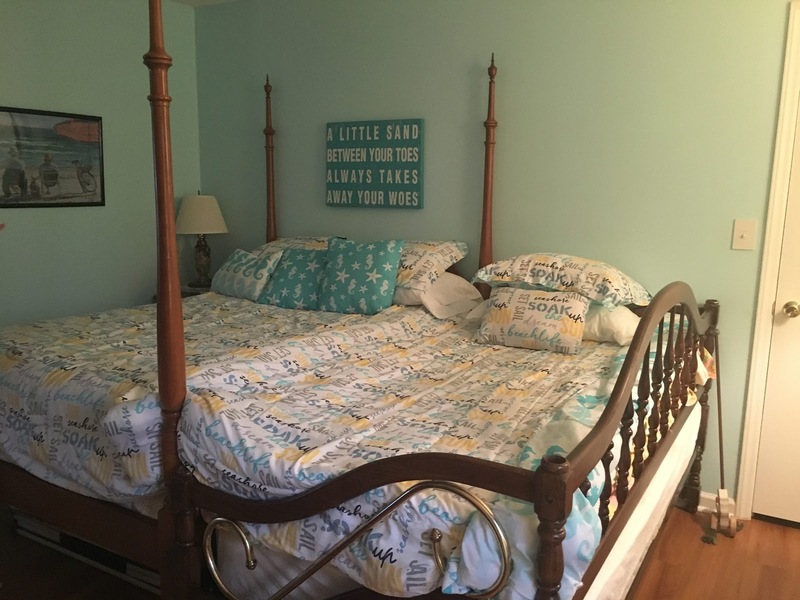 Leigh's DYI giant bed: 2 Queens together, Ikea frames clamped together, homemade headboard. 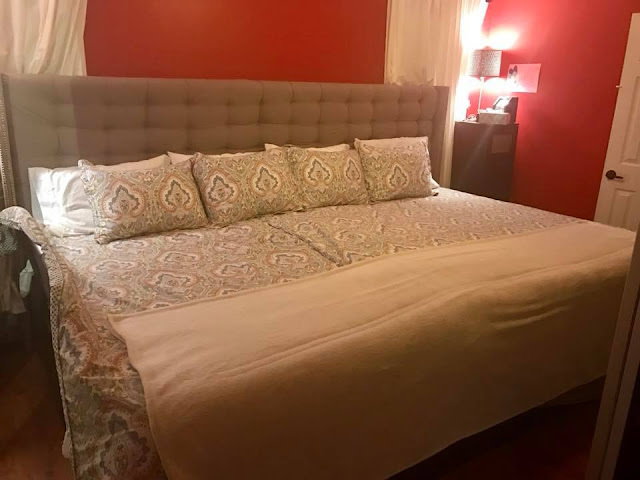 Leigh sewed sheet sets together for this bed. This is how we have managed for 2 years and two babies. Don't think that is what the manufacturer had in mind when they described it as a "convertable crib". 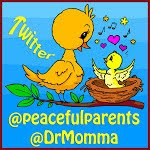 Especially nice being that my newest likes his space, but momma better be right there when needed! We did this when my daughter was a year and a half old, and it was wonderful. If we ever have another child, I will do it from the very first day! Man! Wish I would have thought of that when we moved our oldest (she's 6yrs old now) from the bassinet at my side of the bed to her crib at the foot of her bed! Our youngest has always slept right next to me. On her own mattress, though. We've got a full and a twin pushed together on the floor for my husband, youngest daughter, and I to sleep on. Oldest is on her own twin mattress within an arms reach of Daddy's side of the bed (not that she need to be that close ... it's just a small room). We're into the whole Family Bedroom thing. 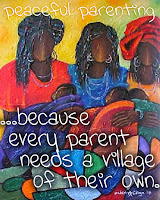 Gives me peace of mind, w/hubby working nights, to have them both close to me. I really love your blog! but I have to admit I do question the safety of taking a crib apart and attaching it to your bed with bungee cords. I think it would be more safe to just share the bed! Using a body pillow between the mattress and the side of the crib seems frightfully unsafe! In my opinion, you just can't put a price on safety. I think an arm's reach cosleeper, if you want a sidecar type thing, would be way more appropriate here. Also, since we have a high pillow top and I was nervous our newborn would be unsafe in the cushiness of our mattress, we used a 'snuggle nest' when she was tiny and it was fabulous. (and no where near as expensive as an arm's reach cosleeper) Just my 2 cents for what it's worth! I love cosleeping with our 8 month old. I used a cosleeper arrangement for his first six months, but now he is mobile, and every time he wakes up, he tries to crawl away (even in his sleep). So I still sleep with him in bed with me at night, but I have started putting him in a crib (it's next to my bed, but without alterations) for naps and early bedtimes. I just don't feel safe leaving him in a sidecar, where he could potentially crawl out and fall off the bed. Any suggestions for addressing this short of putting our mattress on the floor? (We have two dogs, and I'm concerned about allergies and dust.) The photos you share show regular height beds. Do folks nap their babies elsewhere? Do other cosleepers try to put their babies down earlier? We try to put our baby to sleep around 8:30 or he gets very overtired. Babies home-grown around dogs and your own environment (especially those who are breastfed) are unlikely to be impacted by allergens that would be around while sleeping 2 feet closer to the floor. Of course, it is great to get out the vacuum. And keep the dogs out of the room while baby is napping. But this shouldn't stop you from making your sleep set-up more comfortable (and safe) if that is what works best. A little dust - as gross as it may sound - is just natural 'germs' that baby is breathing in day in and day out anyway and it is helping his/her immune system to develop properly. Only you know your environment, but many people have mattresses on the floor w/out any problems whatsoever. In fact, in many Asian cultures the standard bed is one that rests directly on the floor. The high-set Western 'American' bed is not a world-wide desired item. Hope some others chime in too and let you know what they do with crawling toddlers with this set up. DrMomma - Thanks for responding! You will laugh, but actually it was more MY allergies I was worried about! I didn't grow up with dogs (although I love mine dearly). My baby? He's as strong as an ox! Nothing seems to bother him. The breastmilk seems to be doing the trick! 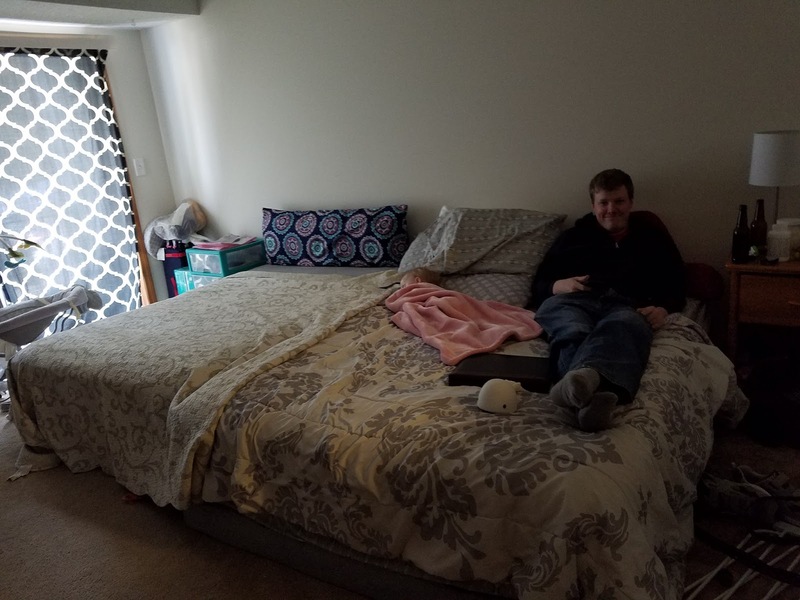 That said, I am seriously considering trying the floor plan, and just vacuuming a lot, although I'm still eager to hear how others got through this wiggly phase cosleeping. I have to wrestle my baby and keep him from crawling away in semi-sleep about five times per night! When I'm there, I don't worry about him falling off, but it's exhausting! 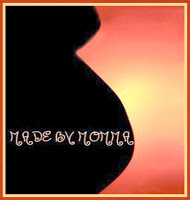 Do we know where the Mama in the video got those super wide bungee cords? I am going to be sidecarring our crib soon, getting ready for #2, and would rather use those than thin round cords. I am the maker of the video. I see a few comments to address. To Megan, if you watched the video and listened to my description you will note that I did NOT use the body pillow with an infant. I made this crib well after my son turned 1and soft surfaces are not a danger to toddlers. I expressly said in the video that you are to use thick foam blocks for infants. You can use the foam blocks that are made for yoga or use some that you find int he craft store. This will create a firm extension from the crib mattress. 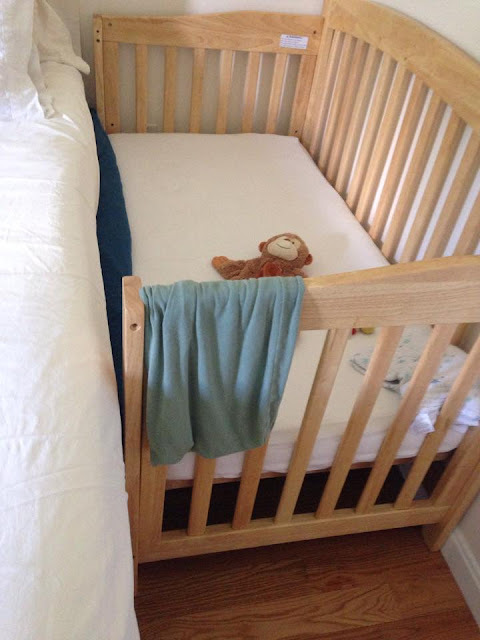 After you place the blocks snugly you will couple the foam blocks to the crib mattress with a sheet. This creates a perfectly safe place for babies of all ages. A co-sleeper bed is great but does not provide a seamless transition for night nursing and can not be used for infants over 7 months as they can fall out. With the modifications that I described above this is far safer than the co-sleeper bed and far more convenient for nursing. As for the place where the crib mattress and your mattress come together, you can easily make this seamless by building up the crib mattress a little higher and joining the two mattresses with a sheet. To Pamela, I found the wide bungee cords at Walmart. I actually bought a ton to see which ones I liked better. These ones were the ones that worked the best for the way we have it connected to the bed. If you have a nice big side board you'll really like them. On the other hand, if you plan to run the cords between your box-spring and mattress to the other side of the bed you might need to link a couple cords to get the desired length. The regular round ones would work for this. Fabulous idea! we are getting ready to try it in out home too!!! We've never owned a crib and between the 5 kids and pregnant with the 6th, we finally decided we needed more space. Who knew a 28"/17 lb 16 month old could take up so much space?? We did it last night and we ALL slept very well. Thanks for posting this! I like to your blog, hope you don't mind! Erykah - Thank you for enabling others to see that a crib is *NOT* a necessity to happy, healthy babies - and several of them at that! I am not sure about a 17lb 16-month old and how much space s/he'd take up... but I do know a 35lb 17-month old is taking up a GOOD amount of bed space at our home! ;) This is the reason we have 2 beds 'put together' on the floor and it works out fabulously well. Thanks for your insight. I have done this with all 3 of my kids starting almost 12 years ago with my oldest! Some people thought I was crazy, but it works so well for us. I sort of thought I was the only person alive to think of this, but that was 12 years ago. LOL. I don't even have them bungee corded together...and we have never had an accident or issue. We just have them butted tightly and there is not one baby/toddler that can move them apart. My husband and I have to do it and it takes some strength. I love love love it, and recommended it to all! I did this with our cot when my son was 4 months old.I was a bit concerned about safety but was confident he would be ok and am even more reassured reading this! I don't think i would still be breastfeeding if it wasnt for making my cot into a co sleeper, the nights are so much easier. I'm not sure how it'll go when he is on the move but so far its great. My daughter just turned 5 months and has gotten a little too big for her moses basket. I was worried I would have to put her into her own room until someone sent me the video. She can't sleep in bed with us because both me and my husband sleep too deeply. This was a safe alternative. I just did this to my crib actualy. to fill in the space between the mattress and the crib edge I placed tightly rolled towels and stretched the sheet over top creating a tight firm extension. 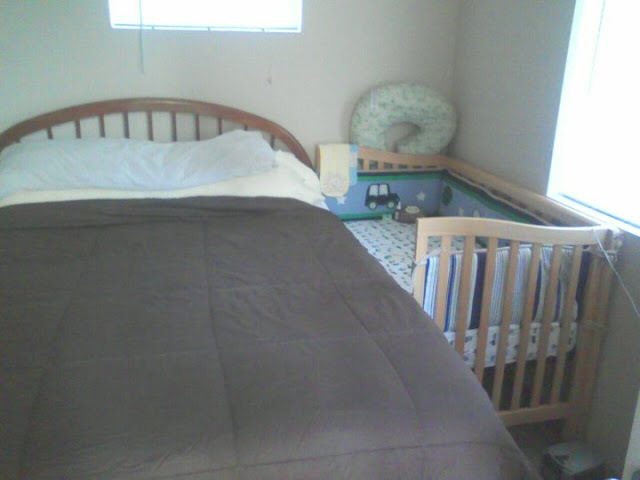 It was relatively easy to do and I am not concerned about the crib not being sturdy because I have a convertible crib. 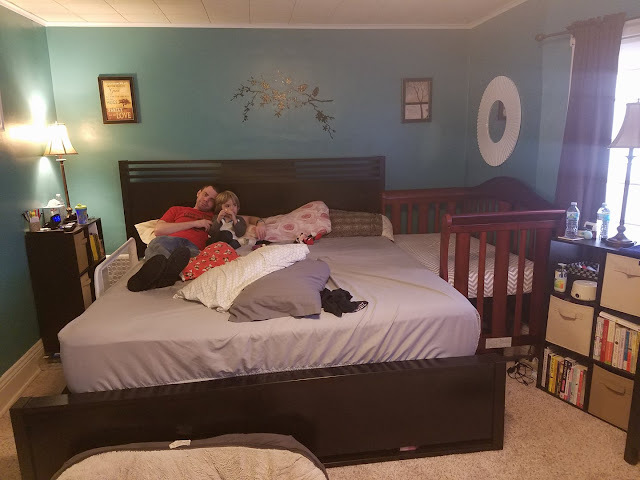 I just converted it to a day bed using the instructions that came with the crib and then bungee that to the bed before attaching bungees to the mattress. I have done this with all of my kids and my eldest is almost 12! Love love love it! I highly recommend it! Did this and LOVE it! We did that after my 2nd turned 1. He wanted more space but still liked being close to us. The next just flat out refused to use the crib part so we gave up w/ #4, lol. Did this with a crib and then a toddler bed. If done safely, it's a great way to get more room. Either for baby or the pile of books, glasses, water bottles etc. Ask him to just try it out? LOVE THIS!!! We are so doing this when my next one is born! 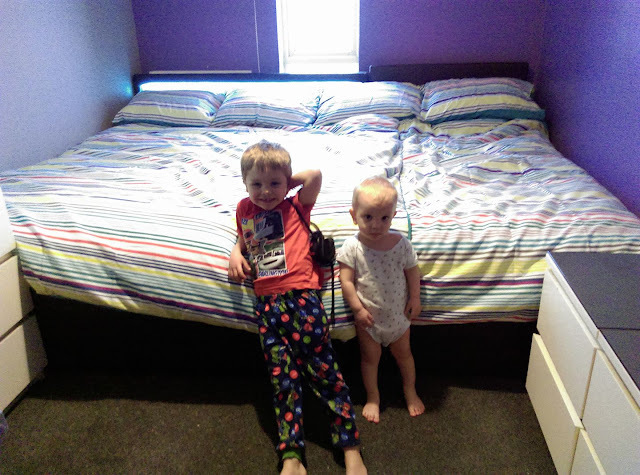 My son will be 20 months by then and I'm sure we'll need the space in our bed! Awesome idea! What a great idea! Right now our crib is only used for play time and diaper changes, I'll have to try this! This was a great post. We have a two year old and one on the way in May and I did not want to kick my DD out when the baby came. 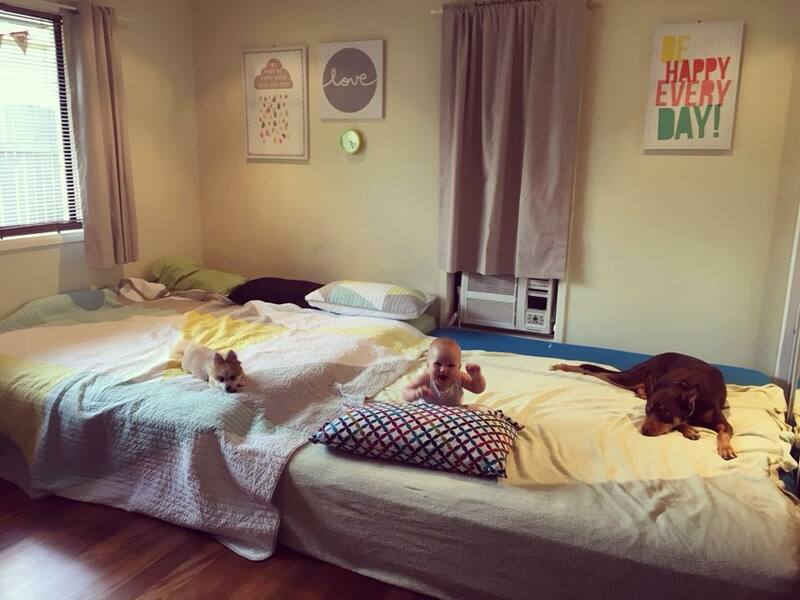 Thankfully I saw the first post and we now have a crib sidecar best solution for our family. So thanks for putting up the info. We co-sleep in the same bed until my girl turned 13 months, then We did this with the crib and She is still there! and now She is 5 years old! :D We love it!.. 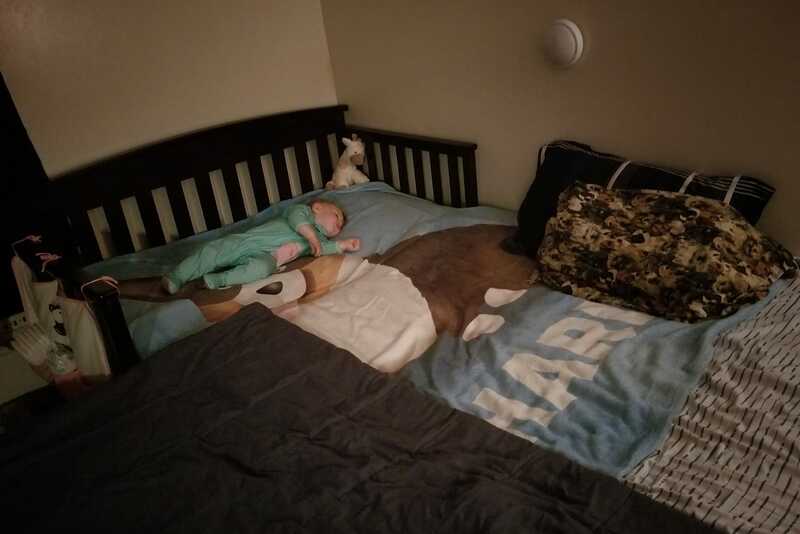 We had a new addition 2 years ago...and He is sleeping between my Husband and Me...but with the crib like this...IT IS A BIG HAPPY FAMILY BED!..I cant imagine other way...I LOVE to co-sleep with my kids! Thank you for this! I found it in your blog archives a few months ago and we decided to give it a shot and it's been awesome! very cool! wish i would of known about that before i sold both of my cribs, lol. This is the best setup! How absolutely wonderful is this! Thanks so much for posting this! This is exactly how our bedroom looks! I never thought to do this!!! My son has been out of the bed, but in the room since his sister arrived but I love this...I miss sleeping next to my other baby! That's how ours is set up right now. I just did this about 2 weeks ago and my 8 m/o who had started getting up every hour at night immediately started waking only 2 or 3 times! It's so nice for all of us because we have a full size bed and there's no way to safely bedshare without the sidecar. Thanks for sharing this!!! We never planned on cosleeping until our baby came and REFUSED to sleep in his bassinet. I started doing some research and decided it was a good fit for our family. Currently, he sleeps between us but my boyfriend is a very deep sleeper and worry about him moving around at night. We're doing turning the crib into a side car tonight. I'm so excited! Ooohhh...That's a great idea when you have twins so they can be in the same bed for longer (co-sleepers are great, but not as large). can you still do this if you don't have a convertable type crib?...is it better to use a convertable? 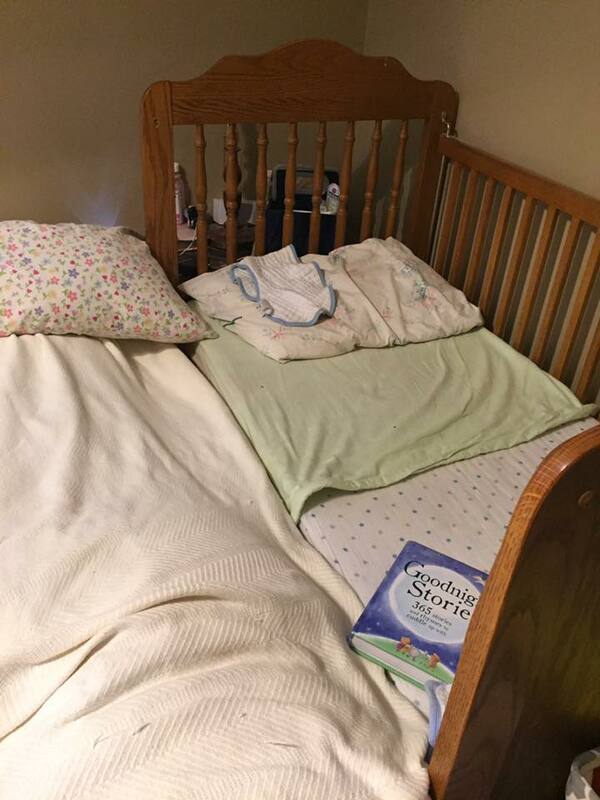 Anon - any type of crib can be used for this. Some will just be easier to remove the side than others. 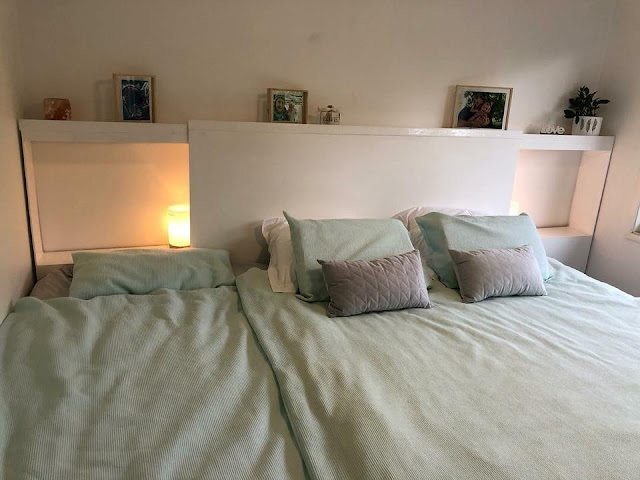 The main goal and important thing to remember is that it is SECURELY tight to the bed (usually works best between the wall and bed) so there is no shifting. Do I have to have a drop-side crib to side-car the crib? 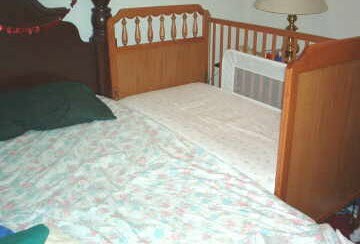 Or, can I use a fixed-sided crib to side-car the crib to my bed? for those of you with other children who can crawl or walk....how do you prevent your children from crawling off the bed if they wake up and you are not in bed next to them. My son, 10 months, goes down in his crib (next to our bed, but not sidecar)at 7pm. then I go to bed around 9pm and bring him into our bed upon his first waking. I would love to do a sidecar set up, but I'd be afraid if he awoke when i was not there he'd crawl right off the bed before i can get to him. Having our bed on the floor (no frame) is not an option in the winter as our floors are very cold. Any suggestions. Question: How do mommies get up to use the bathroom in the middle of the night with this sidecar crib arrangement? Seriously! DO you climb over your partner? My 21-month-old goes to sleep in his crib but joins me when I go to bed. 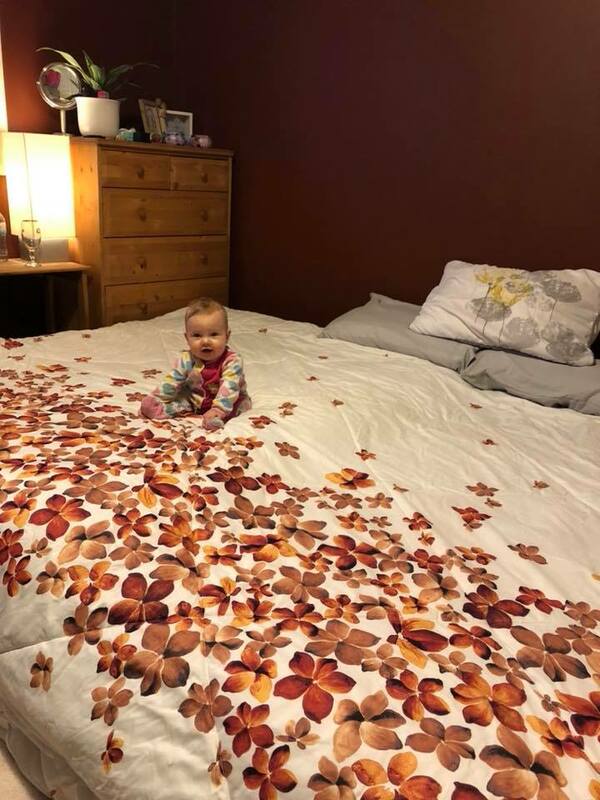 I have been thinking about doing this, but I don't think that I would feel safe leaving him alone in it for naps or the first few hours of the night. How do parents handle this when they are not ready for bed yet? Amy, I would just scoot to the foot of the bed, or scoot down past the crib and get up. 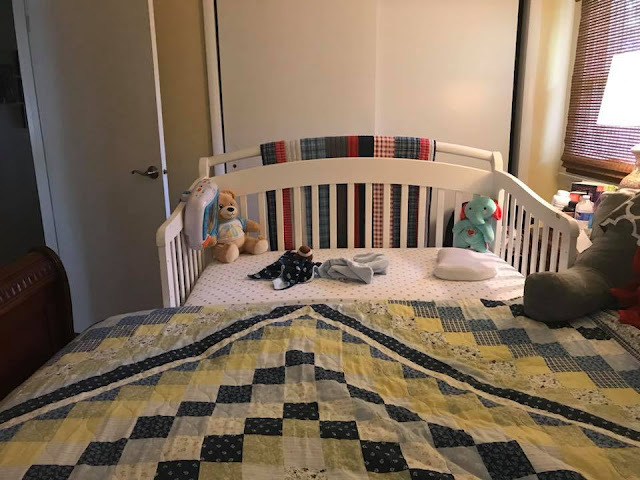 We've set up our crib like this but the crib mattress is a bit higher than our mattress, if we lower the setting on the crib it will be really low. Is is safe to be a little higher? thanks for all the suggestions...my little guy is now almost a year and learning to walk...once i'm sure he won't blindly crawl off the bed when he wakes and he can back off the bed safely i am going to use the sidecar technique....he's getting big and mama needs some space without sacrificing our bedshare relationship (which i feel is so important). LOVE this idea and really would really like to this for my 16 month old. My only concern is her naps. I really need her to be in a safe place as both my husband and I work from home in a separate office room. Excellent post. I wish our mattress support moved more. There are only two positions for ours, so we simply put two crib mattresses in, and have tightly rolled blankets on the other side. This since our daughter was about 2-3 months old. It works very well, though I wish we could attach them some how. Our bed has no frame at all and we can't push the crib up to the wall because it's got a BIG window right there and she's to wiggly to have that happening! My son is 10 months old and he is starting to take up our whole bed! Thank god for this solution! I really didn't think the crib was ever going to get used! How do you get your sleeping baby into the crib w/o waking him/her? Any tips for waterbeds? And tips for convincing the husband? co-slept with both of our children in a soft-sided waterbed, and still do at the ages of two and seven. 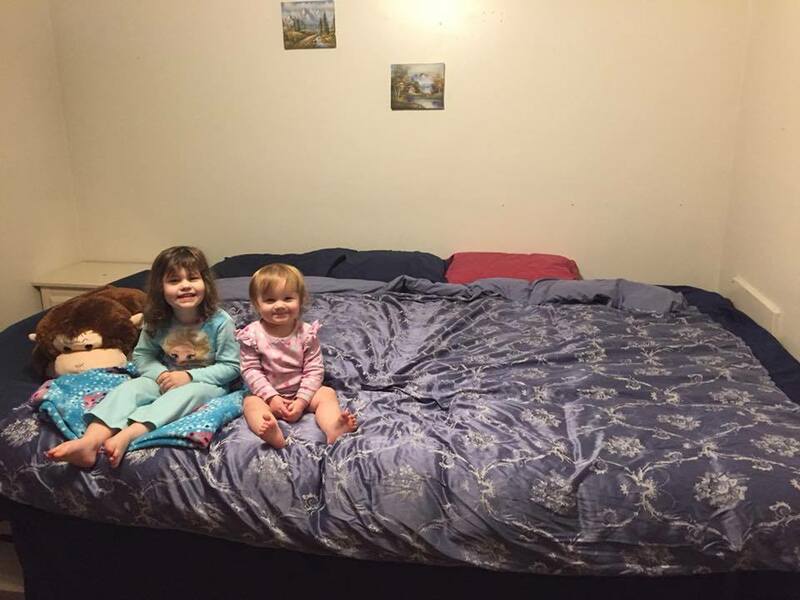 In fact, I built a box frame and used a queen and extra long twin waterbed mattress to create an eight foot wide family bed. And unlike a traditional mattress, the firmness of a waterbed mattress can be controlled by putting more or less water in the bladder. I can make our soft-sided waterbed mattress as firm as any traditional mattress by doing this. 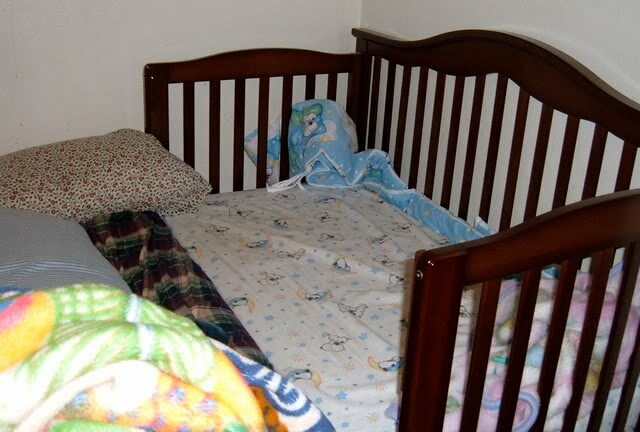 The recommendations against co-sleeping with an infant in a waterbed were made when all waterbeds were hard-sided with a vinyl mattress inside and there was a danger of the infant becoming wedged in the crevice between the vinyl mattress and the wood side. These recommendations have been outdated by technology. 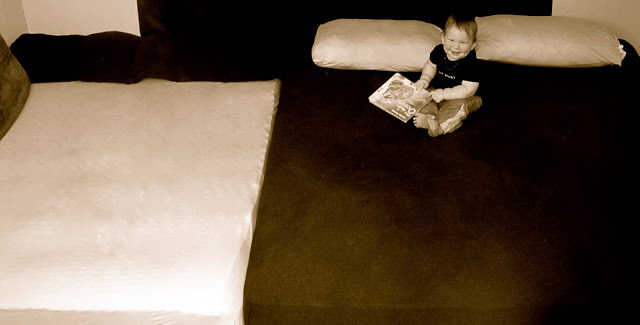 The fact is that soft-sided waterbeds create no more danger for a co-sleeping infant than the traditional spring type, soft, pillow top mattresses that are being used by nearly all co-sleeping parents. 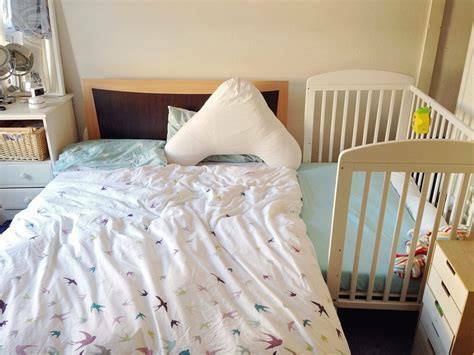 Put the crib mattress on the lower setting then build it up from underneath the mattress with books or folded towels until it is the right height for your bed mattress. ;) This way you have a completely smooth transition between both mattresses. Thanks so much for posting this. We bought a convertable crib for my first son and he never slept in it. Co- sleeping was much easier for a working mom. I am now pregnant again and was in the process of looking at purchasing a co-sleepers. I am so glad I can finally use my crib! my wife and I are expecting our first child in a month and found it hard to find a high density foam to put between the crib matters and the back of the crib. any suggestions where can i buy it? I have a fairly soft pillow-top mattress. i think even if things were lined up great when the weight on my body rolling around the bed it would not stay exactly the same level as the crib matress. Can this be done safely with a pillow-top?? Any reccomendations? Thanks for posting this. It really helped me a lot! I just bought a crib tonight and put it together as a side car to our double bed. 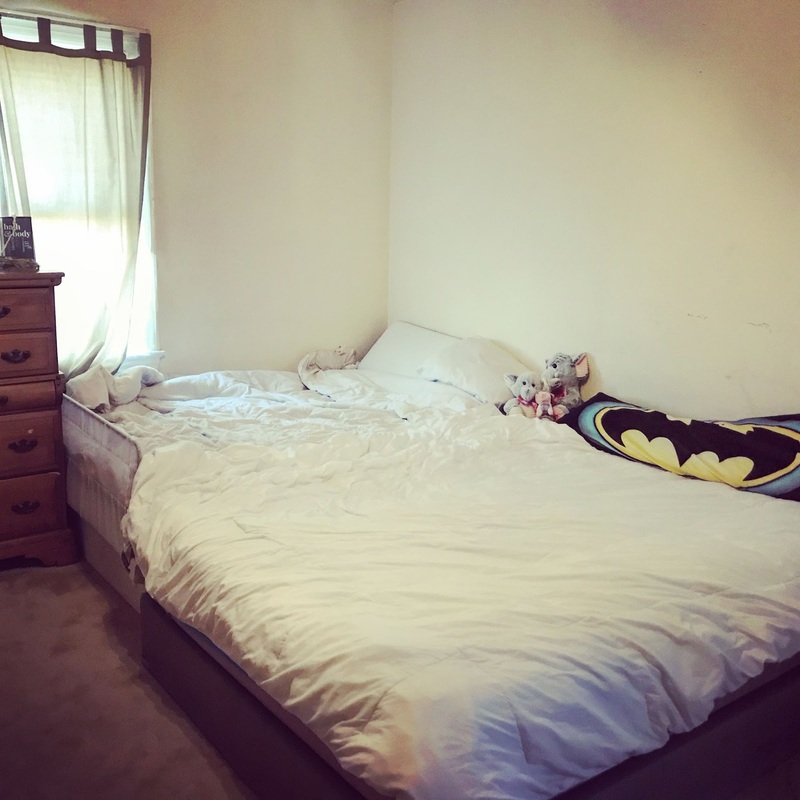 My daughter is sleeping in it as I type this... and now, me and my partner can stretch out a little in our tiny double bed. 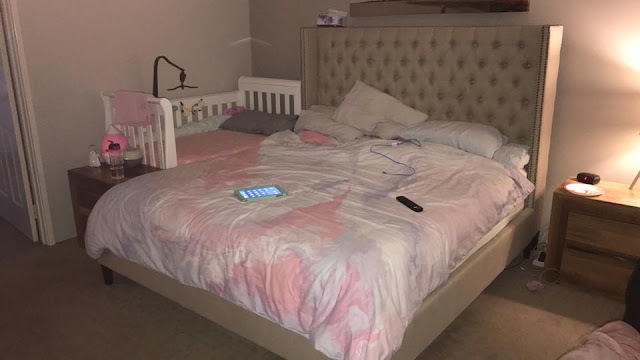 Daughter is 18 months and has never slept in a crib yet, she has always just slept beside me... but I am really liking the added security of her having the crib rails to keep her from falling out of bed. It was either this or buying a KING size bed... Im glad I came across this as its much cheaper and also works out better. I got a crib from CAS(I'm in Canada) They insisted I had to have a crib, blah blah(I only bedshared with my older 2 boys so I had no intention of actually using it, but also knew I could not tell them that). So for the first 3 or 4 mths it was used to store laundry or for diaper changes and my baby girl slept in my bed with me. Then around 4 to 5 mths she was getting more active and I was wanting my grown up time at night(now that I was not sleeping every second the new baby was) so I started to put her in the crib to start her nights off. She slept from around 7pm to around midnight when I would come in and take her in the bed with me. When she was around 10 mths I found her hanging off the side of her crib head first to the floor so I knew I had to then make it a side sleeper. 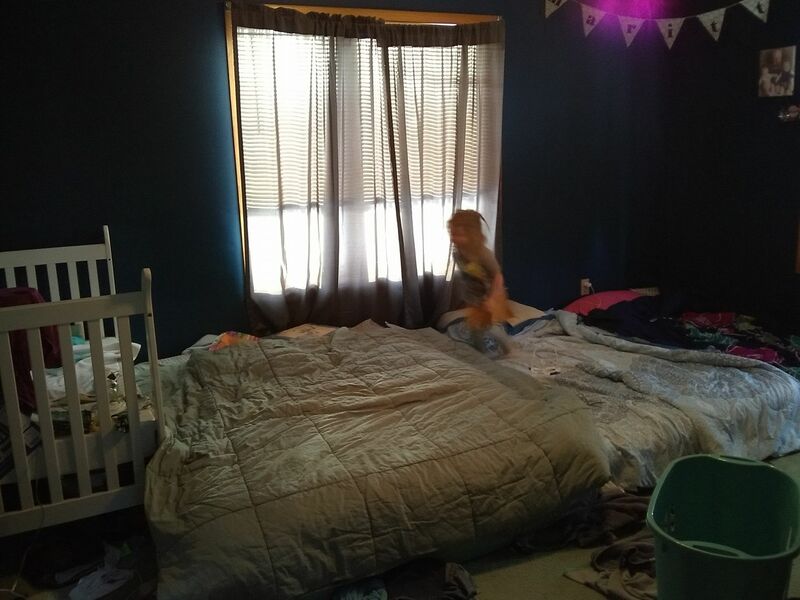 That day I took the side off the crib and got rid of my bed-frame(just used the boxspring and mattress) so they would be at the same height. I used 3 foam swimming noodles from the dollar store in the side of the crib and the sheet covers it fine. All day we spent it in the family bed so I could watch what she did when she gets up. We played in the new bed most of the day and I watched how she went around the side of the bed. The first time she put her head off and tried to get off, I could tell she did not like that solid drop feeling(I did not let her fall just let her get the feeling with her head off)and I showed her how to turn her body to go feet first. Then I put her back in her crib to watch her do it herself, she crawled to the side of my bed and looked at the floor, I could see she had full intention of going down there. And she did what she thought she should do, go feet first! LMAO it was the funniest thing she was going from the foot of my bed feet first all the way up to my pillow! She forgot about TURNING! So then we had another more in depth lesson on turning:P Its only been about 6 weeks so far, but Zero accidents of her falling out. I did what worked for me in my situation and changed it as needed. Does this work for transitioning children into their own bed somehow? By getting them used to the crib, but close to you? Our bed is a full bed and our 8 month old likes to be close only because that's how we've had to be - all the while, our 2 1/2 year old can go to sleep in her own bed, with trouble, then wake up 5-7 hours later only wanting to come to bed with us. help? 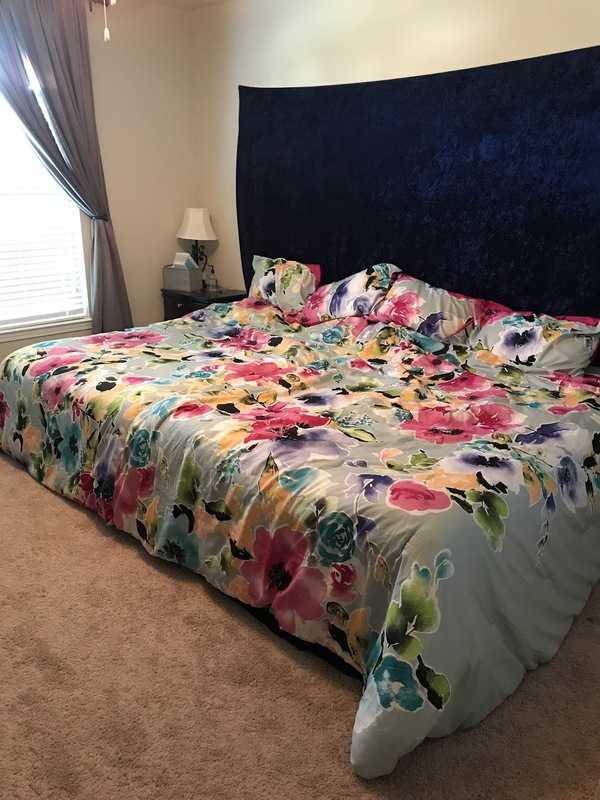 Here in Europe side beds such as BabyBay are quite popular. We got this one http://www.ebay.de/itm/ws/eBayISAPI.dll?ViewItem&item=160632859481&ssPageName=ADME:B:BCA:DE:1123 and it's awesome! Maybe someone in the US could set up a business importing them? I've been wondering about napping and putting baby to bed early. Is is safe for them to be left unattended with this arrangement? At the moment I have him in a pack n play for the times I'm not in the bed right next to him as he goes to bed at around seven and me at around tenish. I never thought to do this!!! My little son has been out of the bed, but in the room since his sister arrived but I love this...I miss sleeping next to my other baby! It's a really neat idea, but what are the benefits of doing this? Isn't it safer for the child to be in their own sleeping environment, not to mention the parents having a social life in the evenings. I will nap with my child who is just over 2 years old, but I have never let her sleep in our bed. She has always been in a crib til about 18 months, when we switched her to her own toddler bed. We now have a newborn and he is up from 10-2 and was wondering about using a bassinet or some type of co-sleeper until he sleeps through the night (for my daughter was at 2 months old). I was thinking more along the lines of the Nesting device thing for a short period of time. Any thoughts? This is great. Not every baby will sleep in "their own space." Our daughter has never slept in her crib, bassinet OR even her snuggle nest. She would only sleep if she was in our bed in between us since she was 2 days old. She is currently lying next to me completely sideways in the bed. I can't wait to have a little breathing room again! She is 8 months old and crawling, so I've been nervous about her falling out of the bed. She often sleeps on her side or stomach and starts rolling and crawling around right when she wakes up. This looks like it will be a perfect solution! I can't wait to try it. She is still nursing and sometimes wakes up a few times at night, and I couldn't figure out how to transition her to her crib (for safety reasons) and still be close enough to know when she wakes up. Thanks! We do this as well- we took the side rail off the crib (fixed rail crib) basically converting it to a toddler bed, and piled two crib mattresses in it. I got high density foam cut to the right size to put next to the crib mattress so it is securely against our mattress and wrapped it tightly in a crib pad and sheet. He slept with the mattress flush with the height of our mattress until he became more mobile. After that I removed the top mattress and now he has a little sleeping nook, which is lower than my mattress so he won't crawl out, but within reach for breastfeeding ease. Now that he is pulling up to stand and crawling like a fiend (9 months old), we'll be lowering our bed and his bed even further so that if he crawls out it won't be a far drop, and so we can teach him to safely crawl out. Right now I pile pillows around the edge when he's in there sleeping alone, and I have blankets on the floor by the crib and side of the bed. I check on him frequently as well. This has been a LIFESAVER!! I am new to co-sleeping, bub is 8 months old but currently he is sleeping in a cot in his own room - he was in a bassinet next to our bed for about the first 5 weeks. But recently having read about the benefits of co-sleeping I wouldn't mind giving this a go full time (I occasionally lie down with him to sleep, especially in the early morning if he wakes and does not want to go back to sleep and I think it's too early to get up yet!). The side car arrangement would suit us well I think, and a lot of people have answered my questions already about babies who are at the crawling stage. The main thing I am wondering now is how it will go if he's sleeping in our room for naps and at night. We have an ensuite bathroom obviously all our clothes are in the bedroom, so hubby and I are constantly in and out of there. Also we like to read in bed at night before turning the light off and not sure how this will affect bub's sleeping, will we wake him with all this activity? Has anyone else experienced these problems? It would be great to get some ideas. we just did this and it's a perfect solution for us. My 3 month old will not sleep with out me and my 3 year old ends up in out bed co-sleeping any other way would not be safe for us. Now we have space and safety for everyone. This is great!! I have an arm's reach co-sleeper, but my 8 month old is now pushing up and this is no longer safe. I was hoping to transition her to her own crib in her room, but she still has a couple of night feedings and both of us are enjoying co-sleeping too much. What about having baby sleep in the adult bed and using a toddler bed rail instead? Wouldn't this also work to prevent baby from falling out? I would rather not have to move her crib to bedroom, as I want her to nap in her own room. Thank you so much. I think I'll try this tonight. We never bought a co-sleeper and just had baby sleeping in our bed but now he's so big that he is interfering with our sleep in our little queen bed. He's not ready to be transitioned to sleeping in crib in his room but this may be the perfect fix. This is exactly how we sleep!! I am so happy that so many others do, my daughter is about to turn 4 and we are still loving it!, even though most of the times she ends up in between my hubby and I we love it love it love it, I know one day she'll be older and decide she wants her own space, I am taking advantage of the wonderful time we share together. Upon trying several times to get my ebf son to sleep in his crib this momma was not getting any rest my son was not having it. 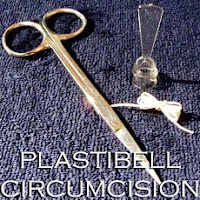 I came upon in this website and wish I had known about this sooner. I immediately took the rail off my crib and followed the demonstrations without the bungee cord (my crib does not have the spring thing) and it worked very well. We love it and my lo and I sleep very well and is much safer then them rolling off the bed, at first it took my lo some getting use to as he still knew he was not right next to momma, but now he just nurses right to sleep and that is that. 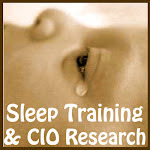 Thank you so much for providing a safer sleep arrangement without the detrimental affects of CIO! 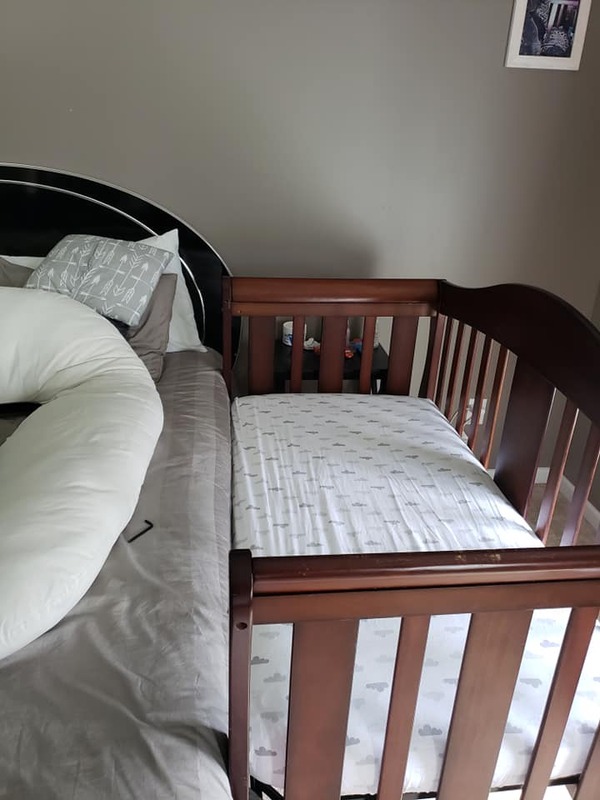 I love this idea, and we did side car a crib for awhile, but one of these seems a bit unsafe. 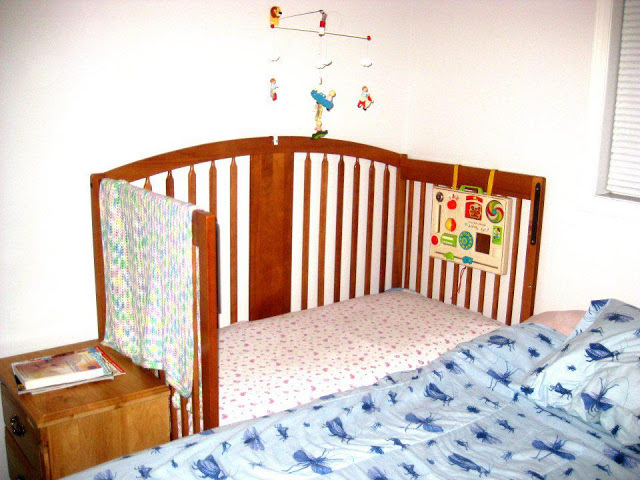 The image with the crib containing a crib bumper, AND being right at the level of a window. Thank you for this article. My daughter is almost 9 months old and is curled up beside me. I always heard you never sleep with your baby but thankfully my Mom told me it was safe and healthy and we've co-slept ever since. Once she got to be six months old we tried transitioning her into her own bed and it was horrible! I hated listening to my daughter cry and we hardly got any sleep. After a few miserable weeks we went back to co sleeping and I realized how much I missed it. My hubby and I keep her in between us at night or we stack up body pillows around her and we worry about her falling off the bed now that she's so active. I hope our crib will do this and I plan on trying this tomorrow. I saw another genius idea to use pool noodles cut to the right thickness to bump the crib up against the adult mattress. Cheaper than the floral foam and won't absorb water, either! I prefer the adjustable ratchet tie down straps to bungee cords, even though they are a bit more expensive. At least I don't have to worry about anything snapping! I lowered the spring frame of the crib to the lowest setting. Then, I used some spare, foam, couch cushions, under the crib mattress, to help make the crib mattress level with my own mattress. 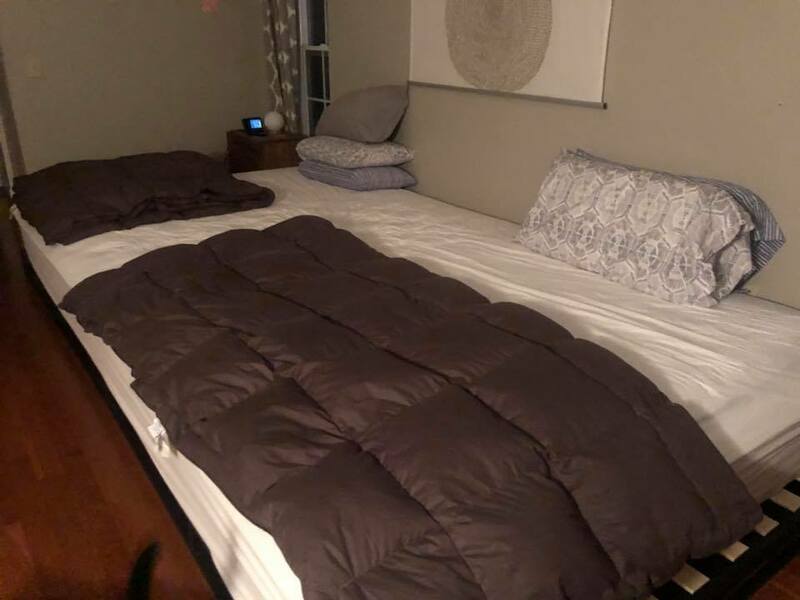 I put a crib sheet over both cushions, and then flipped the cushions so that the side with the sheet was facing the floor. The crib sheet functions to keep the two cushions together, and protect the floor side from getting dusty/dirty or being torn up by the spring frame. In order to keep the crib mattress pushed flush against my mattress, I used two of the larger size pool noodles (mine have a diameter of about 3 1/4 inches) between the side of the crib, and the crib mattress. It's easy to cut the pool noodles to the particular length that you need. Finally, I am considering buying what is known as a "bed bridge", "mattress bridge", or "bed connector" to eliminate the crease where the two mattresses meet. Side carring is a great option if you can't put your mattresses on the floor for some reason, or you want to/ have to use a bed and crib. Hi there. I am about to embark on this project. Im purchasing a secondhand crib. Can you tell me what to look for? Really interested in this type of arrangement especially when breastfeeding. My query is what happens after breastfeeding or if the mother is away for the night and baby is staying at grandparents house etc? How is the best way to help your baby go from co-sleeping to sleeping on its own? I worry that i will never be able leave the baby again! After you breastfeed do you just roll the baby back into the cot? also curious about nappy changing overnight? Sorry dumb questions but very new to this and still pregnant with my first so have no real experience to compare to! How many inches is the bungee cord in the video? Cuz they come in different size lengths. SUGGESTIONS PLEASE: We have a side car crib and we love the arrangement. We started when my son was about 1 yr old. We are expecting our second baby and would like to use this arrangement from the beginning, but I am concerned about the small gaps between the mattress (which is on the floor) and the crib. The mattress and crib are level, but there is a small crevice that concerns me. Also, there is a small crevice between the head of the mattress and the wall. How did you fill in the gaps safely? Thanks in advance! We used foam wedges cut to fill the gap as the video and some of the pictures show above. And then you can use a waterproof mattress pad of some sort (there are many options for these at Walmart, etc.) to go over the mattress on the crib, and under your mattress if it fits - this removes the crevice. The blinds in the pictures are well within child's reach. I lost my 18month old to a blind cord in this manner. Please beware of the hazards corded blinds pose to children/ babies! My pediatrician suggested a sidecar for my baby, though I coslept with my daughter for eight years without issue, and my mother bedshared with me until I was two. Now I'm looking into it to set my doctor's and my partner's minds at ease to ensure our son doesn't roll off the bed onto the floor. However, in my search, I can't find a single company that sells one, just link after link of DIY sidecars. Is that the only option in the U.S.? To make our own? Not an easy proposition for a disabled mom of two and a dad who works fifty hour weeks. Suggestions? My crib is the convertible type but it has a dresser as the footboard and drawers underneath. What would be the best way for me to sidecar my crib? The above shown pictures are amazing..!! I will surely do this for my baby. As my wife is expecting baby in a few days&this would help me stay closer to my baby. Using cot position can also help me keep a watch on baby during night. Do I have to push the crib against the wall for it to be secure, are there other ways. I don't have a wall I can push it against just a sliding door. I would really like to do this but I cannot place the crib against the wall because I would be blocking the bathroom. 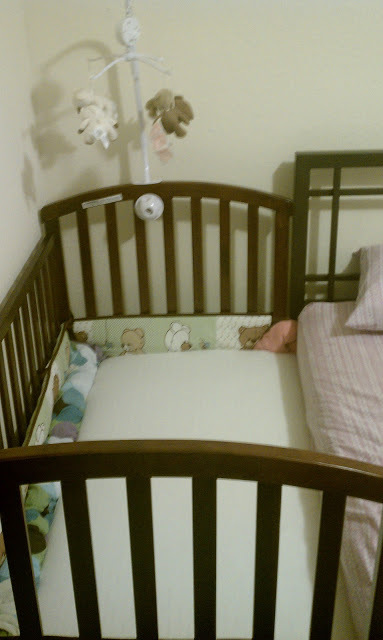 Does anyone have any advice on how to sidecar a crib without placing it against the wall. May I have some mercury with my H1N1 vaccine? ATLANTA MOM BIRTHS TRIPLETS VIA VBAC!! !